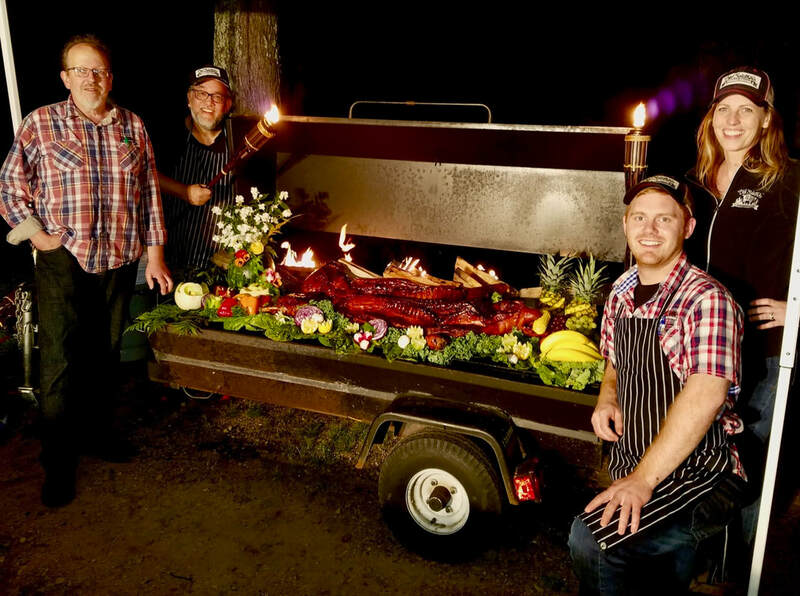 Impress your guests with a whole hog, smoked to absolute perfection! This is the party that will have your guests talking about you for years! The Ultimate BBQ Party Experience! 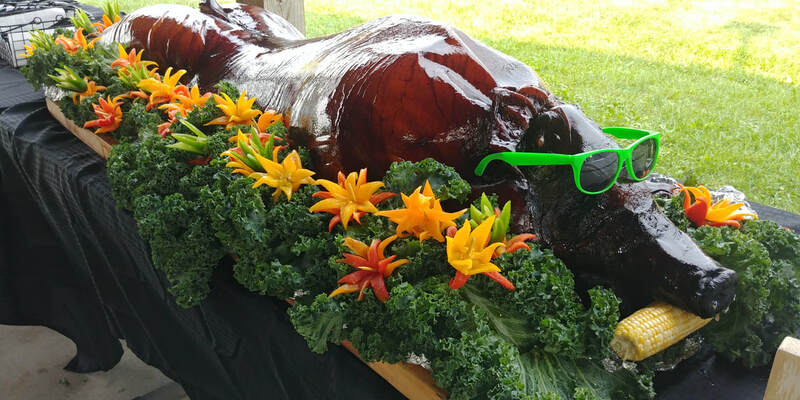 What is included in the Smokin' Hog Wild Party? What are my service options? Carved On-site! 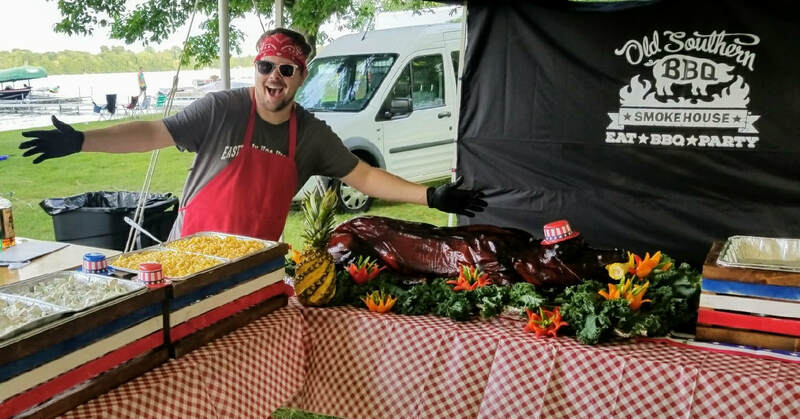 - We will bring the Whole Hog, dress it up and then our Pitmasters get to pig pickin'! 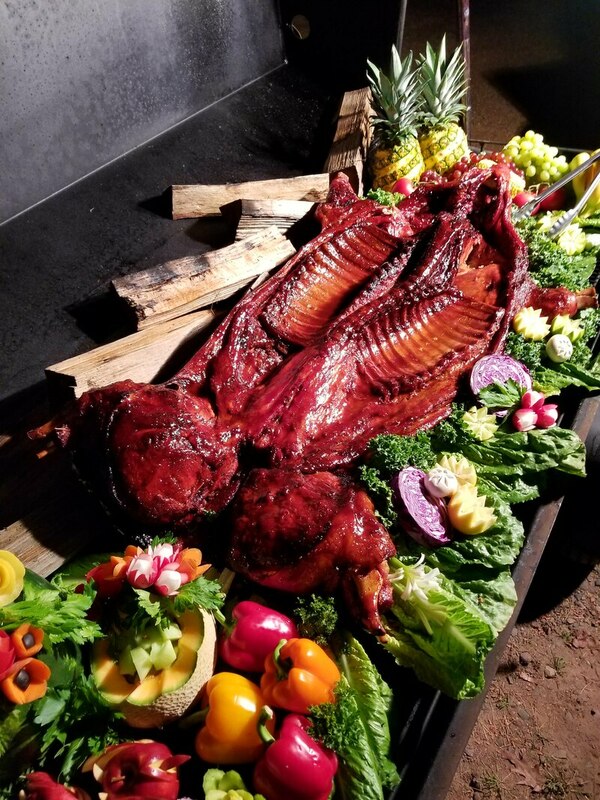 The whole hog is set on display at the end of the buffet. How long does it take to smoke a whole hog? 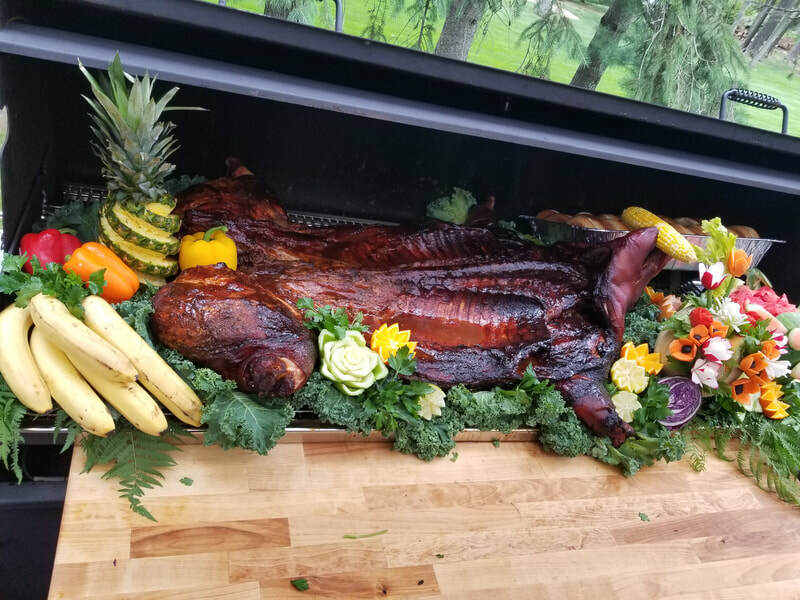 The average hog will smoke for about 18 hrs., so we will do the smoking at our restaurant and bring the hog to your party to carve onsite in front of your guests! 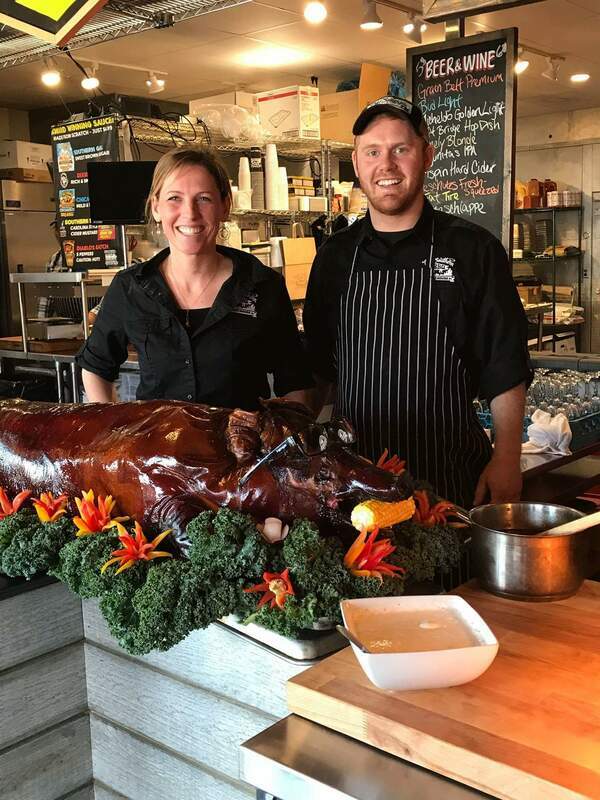 How much does a whole hog cost? 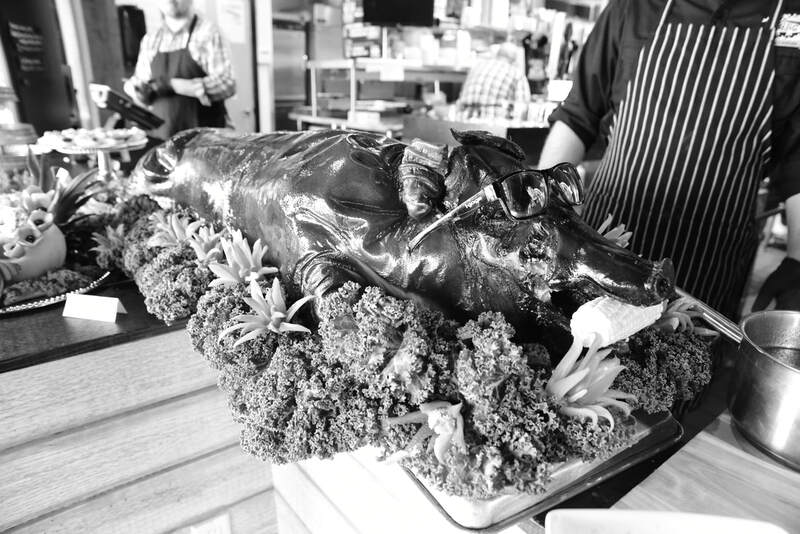 We charge our Whole Hog Parties on a per person basis; the minimum number is 60 people. 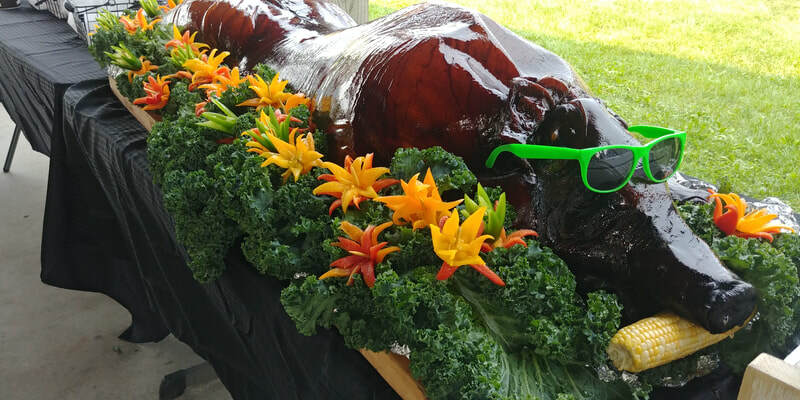 We do have groups of less than 60 that order the Whole Hog Party and freeze the leftovers! 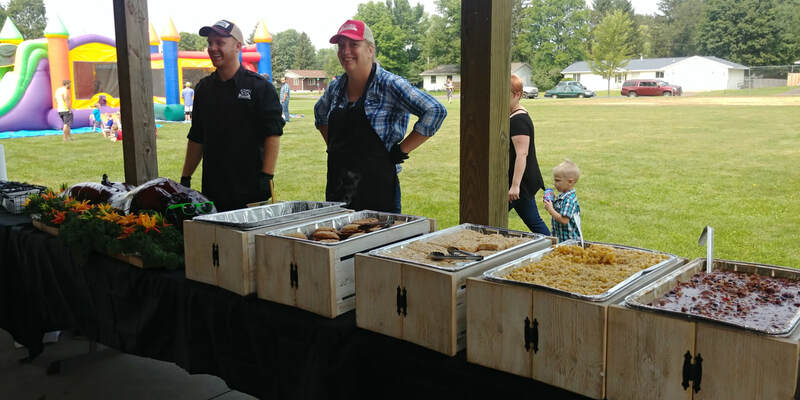 Fill out the form below and our catering specialist will be in contact! 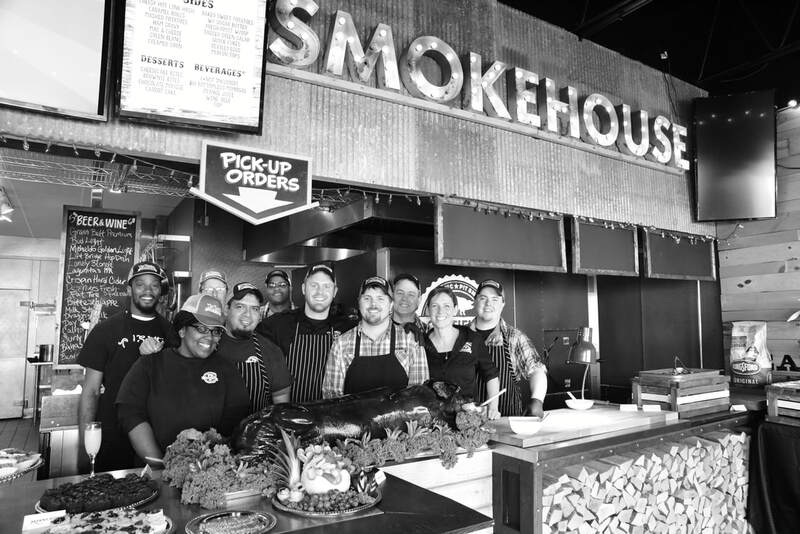 Email us at catering@oldsouthernbbq.com or fill out the form to the left. When we have all of the necessary information, we'll send a contract via email. We love getting HOg wild!! !